The mining and stone quarrying industry is typically considered a polluting industry that mars the landscape and spews out enormous amounts of debris. This waste material is often dumped either at the mining site or at company-owned landfills outside the factory. Every year, stone quarrying companies are forced to purchase acres of land in nearby areas solely to serve as a landfill for their waste. Almost one-third of the natural stone used in the manufacturing process, does not become part of the end product. Further, granite quarrying companies that cut and polish stone slabs have to manage their liquid slurry as well. Granite slurry being highly alkaline, causes water and soil pollution. Subsequently this leads to degradation of soil fertility and plant productivity in that area. When the granite slurry dries up, fine particles are dispersed into the air, which can have adverse health effects on the neighboring communities. TAB India is the leading natural stone processing company in India that produces a range of granite, marble, slate, quartzite, sandstone and limestone products. Being an ecologically sensitive company, TAB India looked out for sustainable options to handle its increasing granite stone waste and slurry, which was piling up to an enormous 14,470 tons every year. The company approached a Bangalore-based sustainable solutions firm named Smarter Dharma. The firm studied the common building materials available in the market such as clay bricks, cement hollow bricks and fly ash bricks. Smarter Dharma felt that granite slurry would be ideal for creating sturdy bricks and pavement blocks, where 60-80% of waste granite available on site can be utilized with cement as the binder. This solution not only could solve TAB India’s waste management problem, but also help in reducing transportation costs. Smarter Dharma helped TAB India in formulating granite slurry bricks and pavement blocks with a waste composition of 75-78%. This composition was way above the standard of 40% reused waste set by the Indian Green Building Council (IGBC). In the pilot run, TAB India could produce 18,000 bricks and 935 pavers in a week, which were successfully listed as green building material by IGBC. 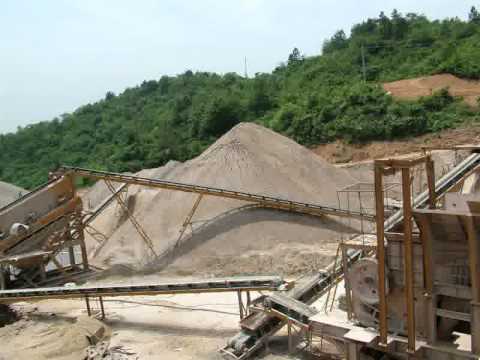 As opposed to clay bricks or cement products, granite slurry bricks do not use virgin-mined material, since they are composed of more than 70% waste material. With construction companies choosing granite slurry bricks and pavers instead of their clay and cement counterparts, this innovative solution provides a big leap toward sustainable living. Evidently, this innovative granite slurry brick helped Smarter Dharma to win the 2015 Parivartan Sustainability Leadership Awards under the most innovative waste reuse solution category. Hey! The granite slurry being highly alkaline causes water and soil pollution. Subsequently, this leads to the degradation of soil fertility and plant productivity in that area.